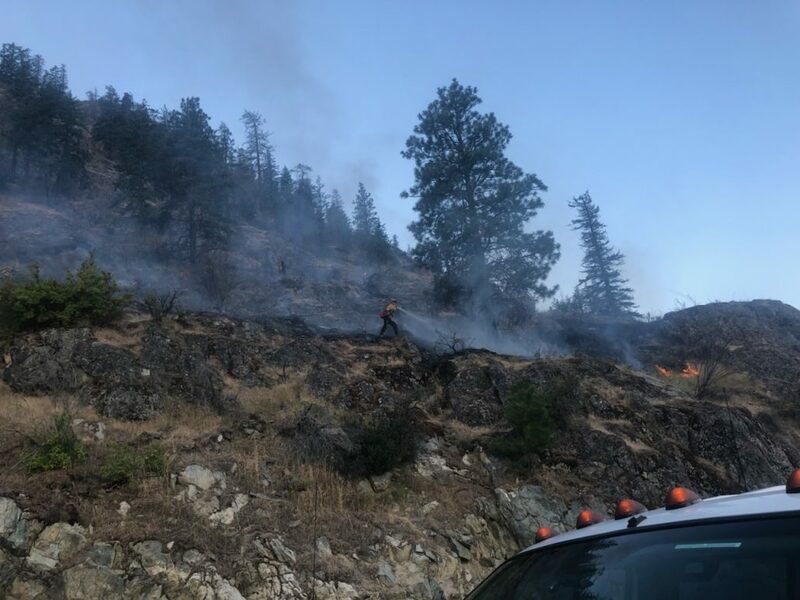 Chelan Fire and Rescue was responded to a brush fire on S. Lakeshore road just past Fields Point. The first apparatus arrived at 5:37 and reported a working brush fire approximately 2 acres in size. A second alarm was requested. Battalion 7, Chief 701, Rescue 71, Brush 74, 79, Tenders 71, 73, 74, 75 and Support 71 responded with a total of seventeen personnel. At 6:07 a.m. the fire was contained and crews moved to mop/overhaul mode.